Labor Day long weekend vibes! What is it about the last long weekend in summer that makes me so absurdly happy and sad at the same time? Is it that in the early morning, I can feel that tell-tale fall chill in the air for about 5 minutes before the sun burns it off? Or is it that it’s still hot out but some people are trying to rock the cozy sweater look? Whatever it is, it reminds me that fall is coming, and I’ve got to take advantage of every last second of summer. PS – Mike did a redesign and I’m still swooning over everything. I’m in LOVE! Note: I used Sichuan chili flakes, which is why they’re so vibrantly red, but if you don’t have them, regular crushed chili flakes will work too, but please don’t skip out on the whole Sichuan peppercorns. 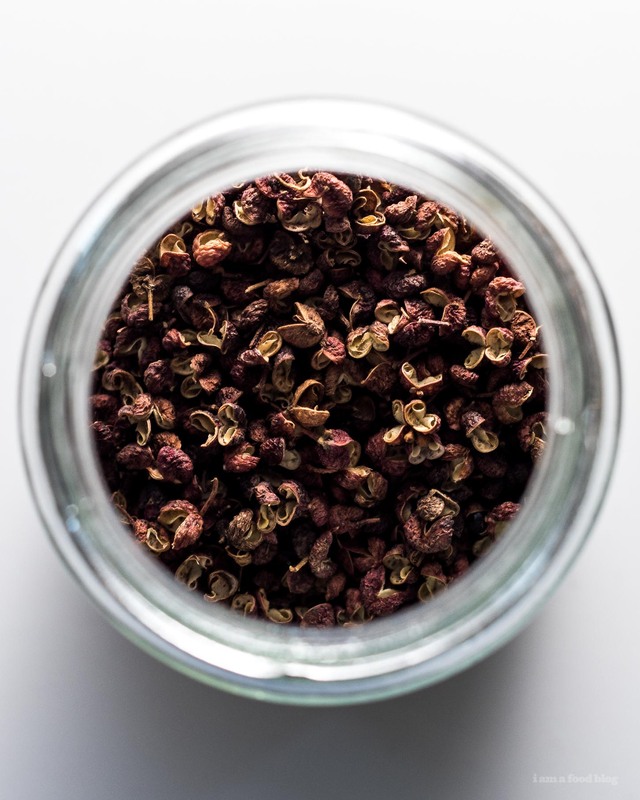 Go here for a source for Sichuan peppercorns and more info on how to grind your peppercorns. You should also be able to find Sichuan peppercorns (ground and whole) and chili flakes at your local Chinese grocery store. Fill a large pot or heatproof container with water and set the sous vide machine to 165°F. 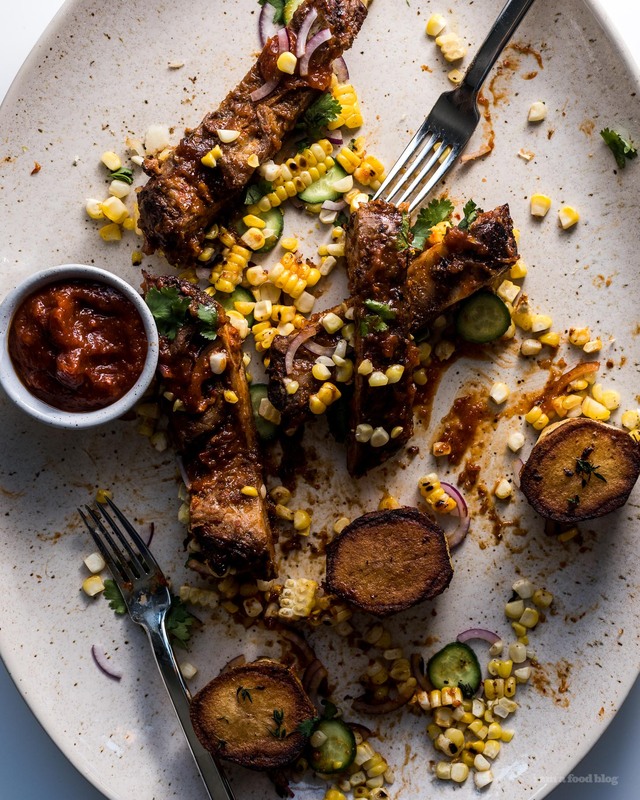 Mix together the rub ingredients.If there’s a thin membrane on the back of your ribs (when the ribs are placed meaty side down) loosen and remove. Cut the rack of ribs in half evenly and sprinkle on the rub evenly on both sides. Place ribs in a vacuum seal bag and seal. Place in the water and sous vide for 4 hours. 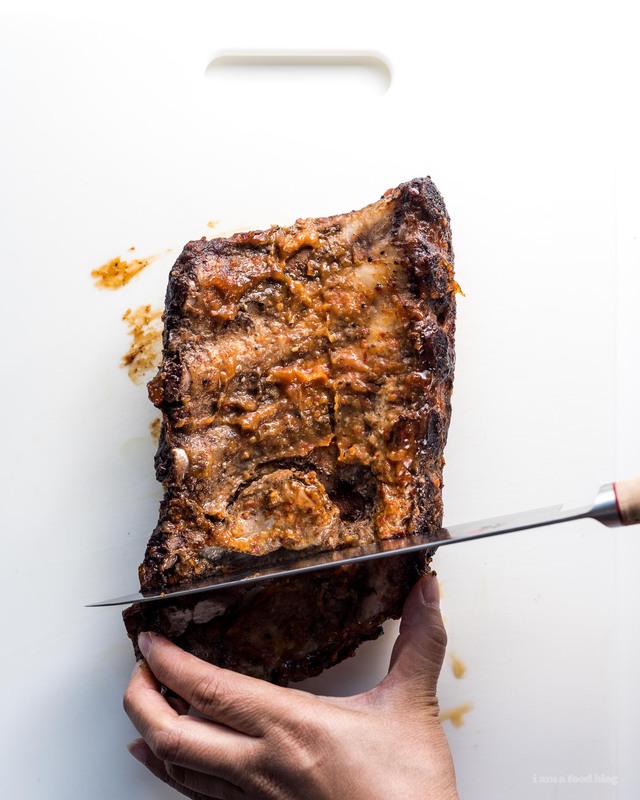 While the ribs are cooking, make the sauce: heat the oil over medium heat and add the onions, cooking until soft, but not brown. Add the garlic and cook. Stir in the ketchup and water. Add the rest of the ingredients and simmer, stirring occasionally, 10 minutes. Remove the star anise, bay leaf, and blend until smooth. Season with salt, pepper, and extra ground chili flakes and ground peppercorns to taste. Preheat the oven to 325°F. 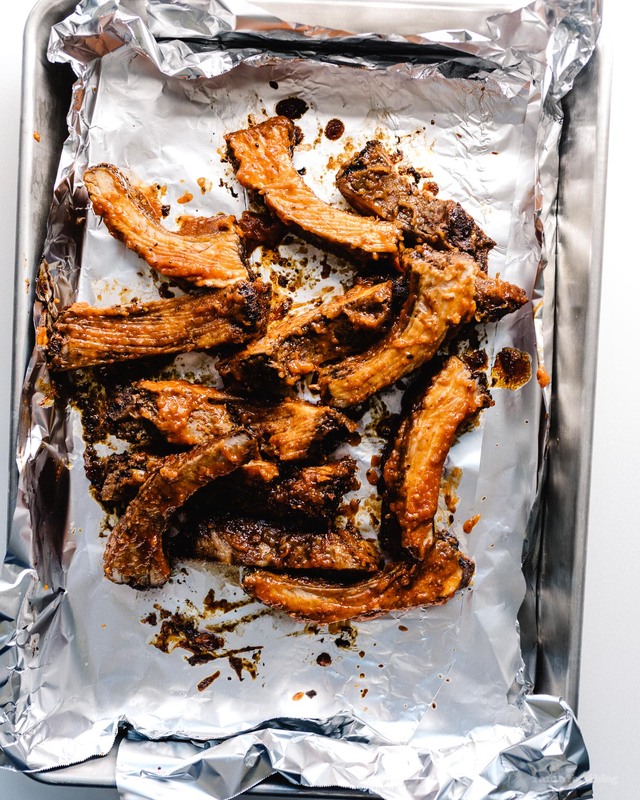 When the ribs are done, carefully remove them from the bag and place on a foil lined baking sheet. 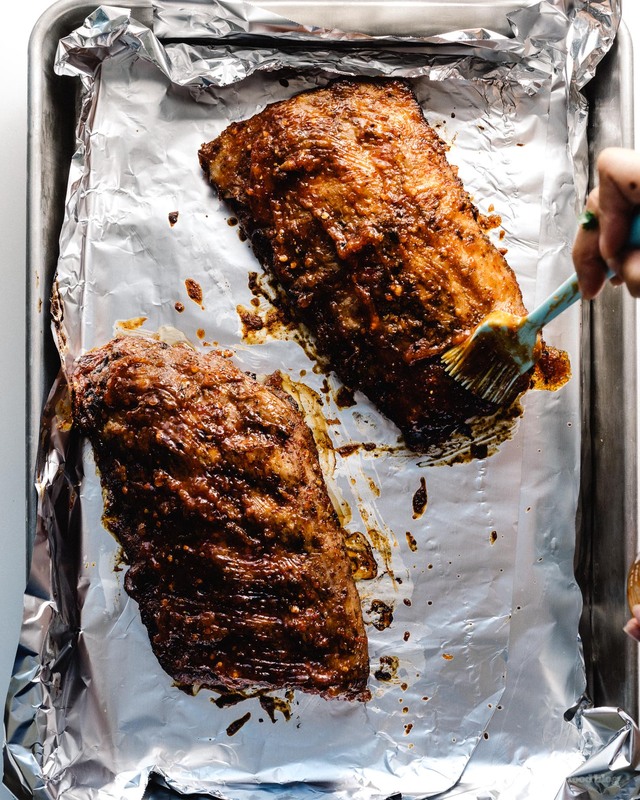 Finish the ribs in the oven, brushing with the sauce and flipping, every so often for 30 minutes. 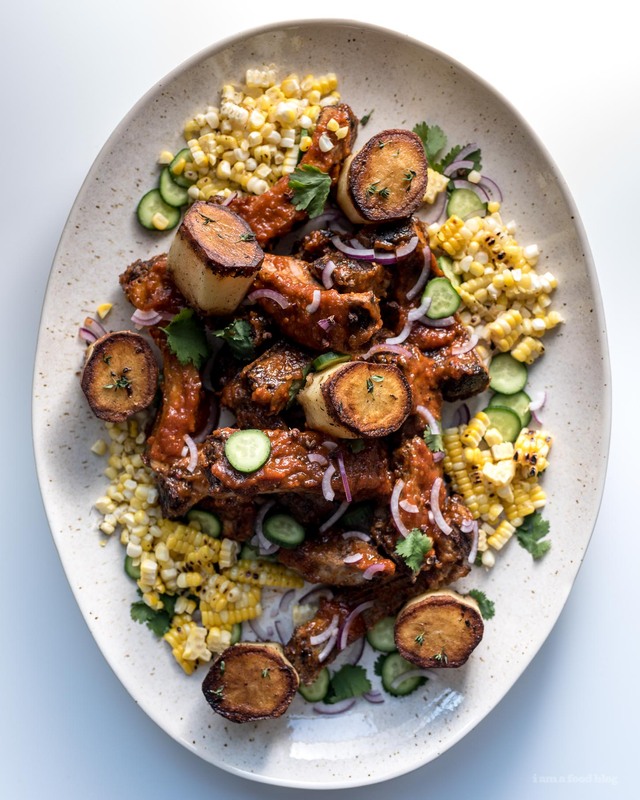 Remove from the oven, slice and finish with extra sauce, garnishing with cilantro, sliced red onions, sliced cucumbers, and extra toasted Sichuan peppercorns, if desired. Enjoy! 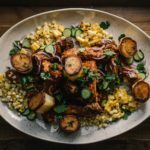 Long time reader, not big on posting but just had to say that the new design is incredible, and paired with your top notch photos has to be one of the best looking food blogs I’ve ever seen! and thanks for being a long time reader!!!! The NC style sauce you made is Lexington style West-NC bbq sauce. Sauces in the Carolinas are very regional. 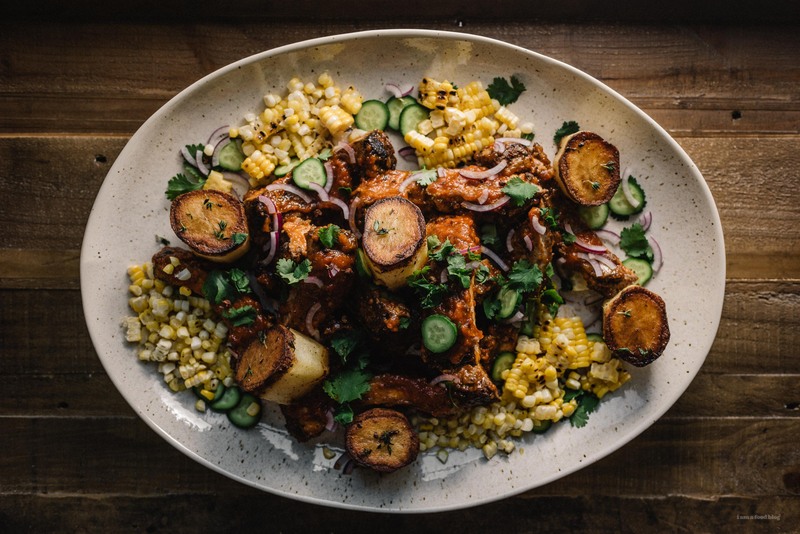 In Eastern NC there is a more peppery vinegar sauce without ketchup that goes with chopped bbq – full of delicious crackling throughout. In South Carolina there’s four types including a mustard, vinegar, tomato, and a special orange sauce native to a town in the state. Lots of diversity! I love the idea of Sichuan peppercorns here though, I certainly see the appeal of adding a little spice to the classic NC version. i love how there are so many regional varieties. i tried to find a good online source that detailed all the differences, but didn’t get very far. I have recently started making ribs and I so love it!! Can’t wait to try this sauce. I don’t have a sous vide so might be a boil and grill or bake and grill situation! 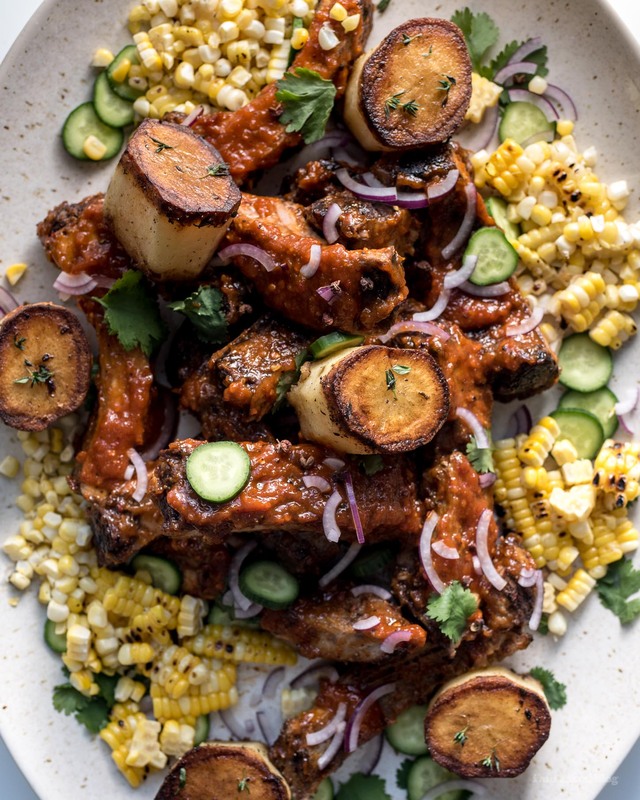 um these sound FANTASTIC (plus yesss give me the corn). and i love the redesign! also super impressed that you guys do redesigns so frequently! that’s not even on my mind most of the time lol. I’m here for the barbeque sauce. Practically drooling. And I love the redesign. Each one is better than the one before! I cracked up thinking about the weird emo kid growing up totally basic. I also grew up and just got tired of not liking things. When I recently told my O.G. hipster mom that I like Taylor Swift she shook her head and seriously stated “I don’t know how you turned out this way.” Ha!